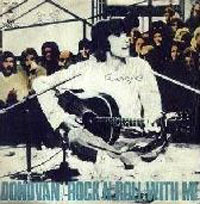 Track 01 by David Bowie, track 02 by Donovan P. Leitch. · Neil Hubbard: electric guitar on track 02. · Doug Schlink: electric guitar on tracks 02. · Paul Ossola: bass on tracks 02. · Bruce Rowlands: drums on track 02. · Ray Cooper: percussion on track 02. · Nicky Harrison: strings on track 02. · Simon Jeffes: koto on track 02. · Chris Nicholls: ace flute on track 02. · Non-LP studio version A side.